1. Place the sweet potatoes in a large pot, cover with water and bring to a boil. Cook the potatoes until tender. Then drain and return the potatoes to the hot pot, add paprika and mash. 2. Pre-heat the broiler and position a rack in the lower third of the oven. 3. In a large skillet, heat oil over medium-high heat. Add onion, mushrooms and ground beef. Cook until the beef is browned and the onion is softened, stirring occasionally. 4. Add the Worcestershire sauce, garlic and sage. Stir in the peas. Season with salt and pepper. Cook for another 5 minutes. 5. Pour the meat in the casserole. 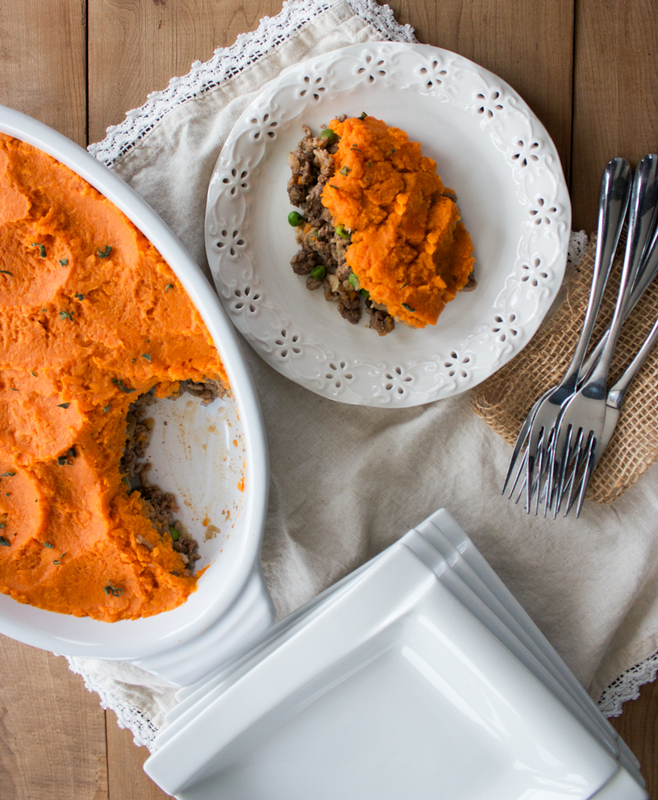 Top it with the sweet potatoes. 6. Broil until the potatoes are lightly golden-brown at the edge. Let cool. Serve and enjoy! Be sure to try this one out tonight and then let me know how you thought it tasted after you try it! Post in the comments section. Looks terrific as usual Karine! I add cooked, mashed cauliflower to the topping too for an added healthy (less on the starchy potato) kick. Just an FYI, this dish is actually Cottage Pie as it has beef in it rather than lamb. We call it shepherd’s pie here in Canada. Where are you from Jill? But in the US, I think more people cook with beef so shepherd’s pie is usually cottage pie, though often you will hear it called shepherd’s pie. Anyway, shepherd’s pie or cottage pie, this sounds delish!!! Trying it right now. Did broccoli, cauliflower, carrots instead of peas. Think I’ll like the sweet potato!!! I ordered a set of your metabolic cooking books back on 25th March 2012 paid $48.25 and have still not received them. Can you please advise me where they are. 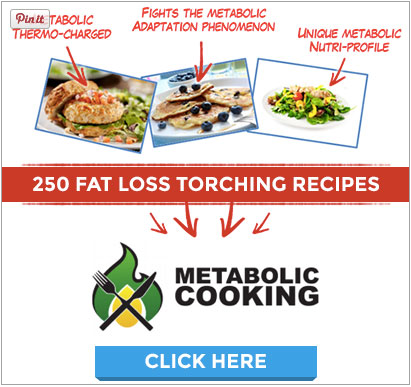 Can you contact our support team at support[at]metaboliccooking.com (replace [at] by @], they will look at it for you. I make a version of this quite often using ground turkey instead of lean ground beef. For those with picky spouses who won’t “do” without white potatoes, I’ve employed a trick that works well if you want to make them their own: First time, use two white potatoes and one sweet potato, next time, two sweet potatoes, one white. Next time, use all sweet potatoes, and it’s likely they’ll never know the difference. Thanks for the recipe, I’m looking forward to trying it! What a great idea!! Small progressions to “hide” the healthy ingredients is a good idea. A bit more work for you I am sure but it’s worth it to get rid of the things you should not be eating a lot of 🙂 Thanks so much for sharing. This recipe looks great! I love sweet potatoes, and the broiler option is perfect since my oven just went out. I also just ordered your cookbook and tried my first recipe tonight. It was the sweet pepper beef stir fry. Delicious!! Thats amazing your kids love the recipes too. It’s always a BONUS when they respond like that 🙂 This recipe would fall under all three, correct. I have epilepsy so I can not drive to the grocery store. My husband won’t take me due to seizzures and balance. My friends are on overload taking me places. I give him a grocery list and am sometimes fortunate he will buy what I want. I bought the cookbooks and am hoping I can fooling him to get the ingredients for one new meal a week and if he likes it maybe I can slowly switch us or\ver. On big problem that for cooking many of the recipies 9ecpecially from from Diet Angel calls for a lot of eggs I don’t know if he will get. Thanks for great ideas on healthier versions of traditional home cooking! Looks great will certainly give it a try. 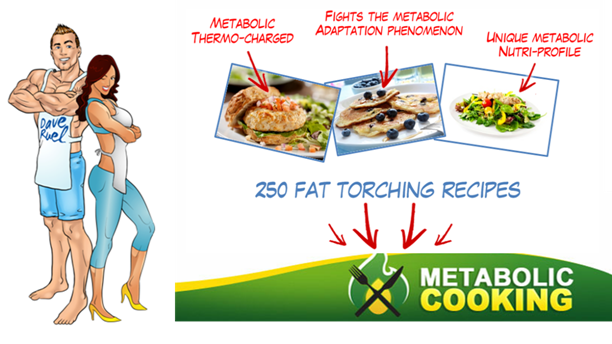 I just bought your Metabolic Cooking System and am looking forward to giving it a try. I also bought Dave’s Anabolic cooking. Are they interchangeable as both have combinations for fat loss and muscle gains? 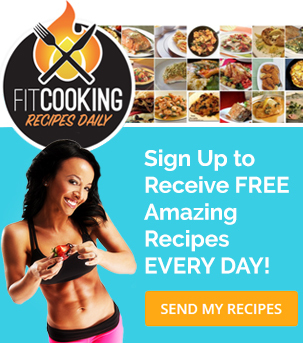 Thanks so much for the great healthy cooking ideas. Thank you so much for the recipe. This really looks like something I can make for the whole family with not to many problems. The only question I have is should you eat this for lunch instead of dinner if you are doing the metabolic eating for weight loss? I just received all the ebooks and am still trying to figure it all out. I find it harder on my computer than just flipping threw a cookbook.